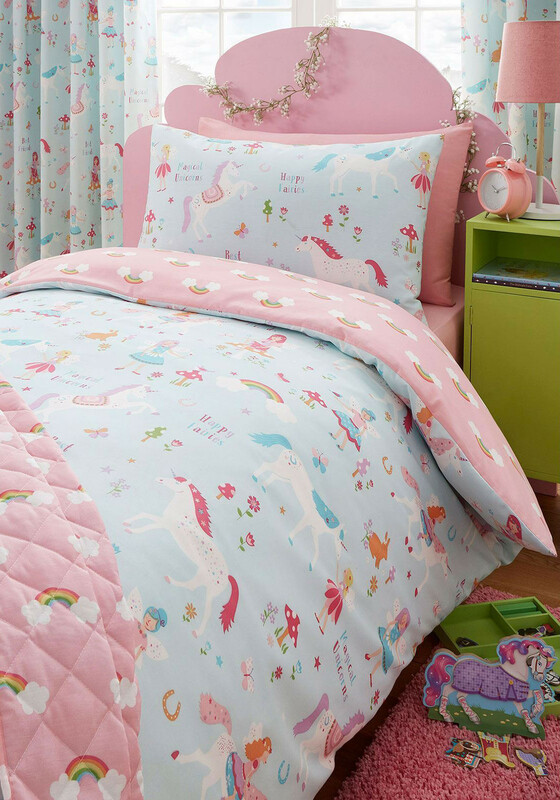 She will just love the cute Magical Unicorns duvet cover set from Kids Club which will create a girly bedroom environment. 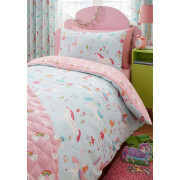 Made from soft and comfortable cotton blend fabric with unicorn, fairy and toadstool prints on one side and rainbow graphics on the other. Comes with pillowcases.